Last summer, God spoke to me. It wasn’t really an answer so much as it was three simple words. Not even an actual sentence, although each word was a verb. 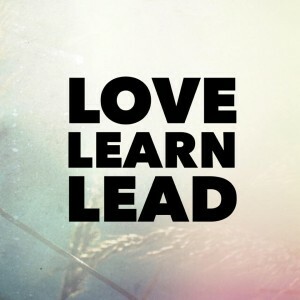 “Love, learn, lead.” Those were the three words He dropped into my heart at a women’s Bible study I was part of. I wish I could say that when I heard them, or more accurately, felt them, I dropped what I was doing, ran to the coordinator and told her that I would lead the group. But I didn’t. I ruminated on them for the hour and a half of the gathering. I barely heard the teaching, but I was in the middle of a lesson. And Jesus was my teacher. So I did. I led the group for 6 weeks. Questions. Insight. Answers. Leading. All the things that I have been terrified to do since I dedicated my life to Christ in 2006. For so long, I felt unworthy. Not enough in the church world. Not smart enough. Not spiritual enough. Not churchy enough. Not an anointed speaker. Not educated in Hebrew. Or Greek. Or Aramaic. Or King James English. I was simply me: A Jesus loving sinner who knew beyond the shadow of a doubt that grace existed and who desperately wanted to pour that grace into the lives of others. At all times. In all seasons. For all reasons. An over-abundant grace-giver you might say. The love part of God’s command to me comes easy. The learn part of God’s command to me was a tad more challenging. I love to learn. Absolutely love to learn. I love to learn new ways of doing things. Old ways of doing things. I love to read other people’s thoughts. Of their experiences. Of their triumphs and failures. I love to learn how to make new things. I love to learn how to make old things. But here, God was asking me to learn more about Him. And that’s where the wrinkle was. I had grown up in a religious environment. Not so legalistic that I never saw the light of Grace, but rules and regulations, traditions and ceremonies, were a very large part of my childhood. I suspect that it is due to that upbringing that my pendulum swung so far into the grace category. But what God was asking me to do was to learn about who He is, not who I thought He is. Or who other people have told me He is. And to do that, I had to tear down walls, ideals, and boxes around my God. I had to give Him freedom to give me freedom. I had to let go of what I thought was true and find out what really is true. To do that, He connected me with a group of women who are not even close to being like me and who are so much like me that it’s as though we’ve known each other our entire lives. They are my heart sisters. They are my sisters in Christ. And it’s because of them and Dauntless Grace Ministries that I have learned even a little bit about who God is. I have learned from them because they model it every day in their forgiveness, their grace, their love, and their hearts. When He dropped the final word into my heart, it both terrified and thrilled me simultaneously. Lead. My fears of not being enough from before kept springing to mind. “No one will listen to me.” “What do I have to offer?” “How can I do what you are asking me to do?” And as I wrestled with God in these questions, the same answer kept coming up: Not you, ME. When Dauntless Grace Ministries began the Home Groups, I kept pleading with the Lord to give me names of who I was to invite. 3 names. It didn’t seem that tough. He is God after all. The only thing He kept saying to me was: church. So of course my mind started racing. Women from church? Which women from church? What if I didn’t invite women from my church, but held it at my church? What if I invited them to church? He kept saying one word: church. A few months after the Dauntless Grace Ministries groups idea came to life and I had committed to doing it but I had no one to do it with, I spoke with my friend, who is the pastor’s wife. I asked her if there was already a women’s ministry that is active at our church. Can you guess what her answer was? No. Her answer was: No, we don’t have an active women’s ministry at our church. We have three women who organize and lead their own groups based on ages, but no active, all-inclusive group. Lead. That same day, I went to visit my pastor, laid this whole thing out. I told him I had no plan, no outline, and no idea what I was doing and told him that he either needed to get on board or get out of the way because the Spirit was moving in our church. He was encouraging, supportive, and genuinely excited about it. His philosophy is that if the Spirit drops something into your heart, you go with it. There is no greater calling than that which is of the Spirit. So I did. I prayed for God to lead me to the women who would cover this group in prayer. I needed to have dedicated prayer warriors for it. Women who would know that this was God’s group and not something that I was trying to do in my own strength. Women who would know what a spiritual battle we are in and how best to fight that battle. Women who would be able to stand around me as the fiery darts headed my way to knock me off course and not see those attacks as reason for quitting but more for reason to push forward. Then, right before our first meeting, I then opened my hands and prayed. For months, I had been praying with closed hands and bent over. One night, the Father gently, but firmly pried each of my fingers open until my palms were splayed wide on my pillow. And He told me to pray. It was the most releasing, freeing, powerful prayer I had prayed over the group. It was a lesson I won’t soon forget: to be still and know that He is God is to release, especially in relation to the hands. Let go and know that He is God. For more information about Dauntless Grace Ministries, visit their website! 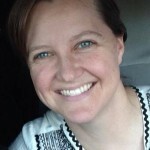 Emily Spiers is a stay at home, homeschooling, homesteading mama of two. She enjoys reading, soap-making, chocolate, salted caramel coffee, spending time with her family making memories, gardening, caring for their animals, canning, cooking, baking, and pursuing Jesus. Join her as she lives happily, laughs a lot (usually at herself), loves everyone, makes mistakes and learns from them, and generally enjoys life so much it hurts. She loves to love people and is constantly in awe of the love that Jesus has for her. You can find her here!